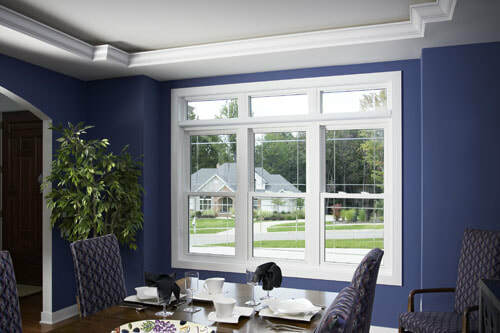 Chris – I want to thank you and your team for the exceptional job you did installing Anderson windows at my home. All aspects of the job went very well. Your team showed up on time, were polite and professional, worked quickly but carefully, delivered high-quality work installing 21 replacement windows, and cleaned up thoroughly when the job was done. I especially appreciated your personal expert advice and attention to detail throughout the job. All aspects of this installation exceeded my expectations, and I’m very happy with the results. I’ve had the pleasure of dealing with CCK Windows and Doors for the installation of 25 windows and doors over the past 2 ½ years. Before meeting Chris with CCK, I had some nightmare experiences with my windows. Now that I’ve found a reputable crew, I would not have any other company take care of my windows and doors. The entire staff of CCK is incredible. They are very professional in every way. They show up on time and their work is perfection. I completely trust all the CCK crews in my home. It’s so nice to actually have a company take care of my needs with my windows and doors without a worry. Thank you, Chris, for having such an awesome company and for providing THE BEST installation possible. I’m a very happy customer! Chris and his crew replaced windows in our house with a sliding glass door. They did it all in one day and left no mess whatsoever. The doors are very nicely installed, Chris's attention to detail is the best I've seen! I would highly recommend these guys! Great workmanship is not easy to find these days, but we sure found it with Chris. Chris and his crew did a fantastic job on my Windows... June 3, 2016.Honest, straight forward ,no hidden costs.. If you want a great window company, I recommend them.. My Windows were done in one day. They were the ONLY company that the owner actually works on your Windows. The crew that worked with him were awesome. Want to say thank you to them.. I am very impressed with the work that was done. The staff was wonderful at setting up a free estimate and accommodating our needs with a family medical emergency. The window looks beautiful and will make our kitchen brighter with sunlight!! Thank you Pikes Peak Windows and Doors!! Chris and his crew are amazing. His knowledge and experience on windows was very professional. We had a bay window installed by them and they had it installed in a matter of hours. I would definitely recommend this company to anyone who plans on updating windows on there home. I will most definitely come back to pikes peak windows and doors for the rest of upgrades I would like to do in the future.